• Dispenses patch cords quickly and easily: Reduces staging and installation time. 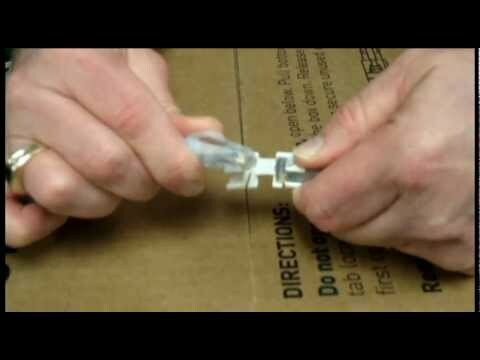 • Eliminates trash from opening bags: A green, friendly approach to packaging patch cords. • Provides a more orderly staging approach: Eliminates errors and tangles from traditional staging. • ETL third party tested and verified to TIA/EIA 568C.2 Category 6 component specifications: Ensures Category 6 component performance. • Center-tuned technology: Elevates the performance of Clarity 6 connector union. • Paralign 2 pair-positioning technology: Maintains pair integrity through the plug termination, allowing mating hardware to be designed/tuned to these cords.